Many men and women have dental crowns. In fact, the number of Americans with dental crowns is on the rise. According to the American Academy of Implant Dentistry, 15 million people in the United States have crowns put in place of missing teeth. The dentists at Lowes Island Dentistry are highly trained professionals that can explain your crown options. Call or make an appointment online if you suspect you may need a new crown or crown repair. Lowes Island Dentistry is conveniently located near you in Potomac Falls, Virginia. A crown is a tooth-shaped "cap" that's used to cover a damaged or weak tooth. It's shaped to look like the natural tooth and can improve its appearance and strength. The crown goes over the original tooth and is bonded into place, so the tooth is completely covered, from the gum line up. The experienced dentists at Lowes Island Dentistry may suggest a crown for many reasons. A crown can cover a dark or misshapen tooth or a dental implant. Metal crowns are durable and able to endure the force of chewing and eating, but due to their striking color, they're commonly reserved for rear molars. 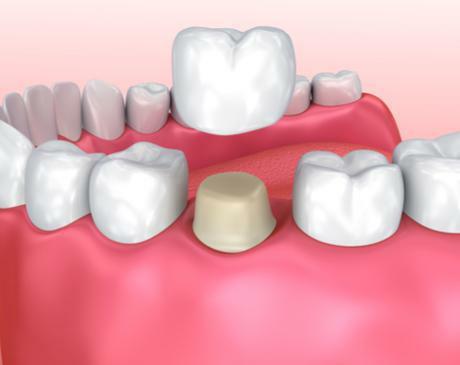 Porcelain fused to metal crowns have a more natural appearance than metal crowns, but they do come with some downsides. For instance, the opposing teeth may endure more wear than they would with other types of crowns, and the metal portion of the crown may show as a dark line near the gums. CEREC crowns are traditional crown alternatives. 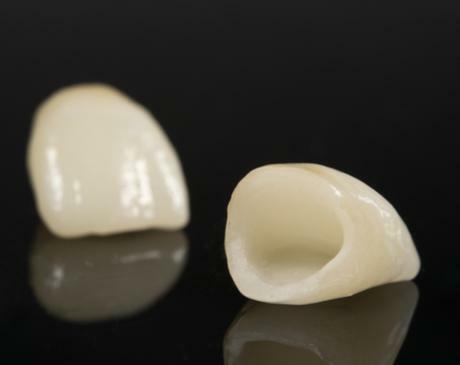 Instead of relying on a temporary crown while your permanent crown is made in a lab, CEREC crowns are made while you wait during your appointment. Made of durable ceramic composite, CEREC crowns are extremely durable and long-lasting with proper care. With CEREC crowns, only a single appointment is necessary, as the crowns are same-day. Most of the time, a minimum of two visits are necessary for a dental crown procedure. During the first appointment, your Lowes Island Dentistry professional will take X-rays to evaluate the condition of the tooth in question. Next, your dentist will use a local anesthetic to numb the tooth and its surrounding tissue. The tooth will be filed down or built up so that the crown will fit properly and securely. After that, the dentist will take an impression of your teeth. The impression will go to the dental lab and be used to create a custom crown. Your dentist will place a temporary crown over your tooth until the permanent crown is completed. If you’re a candidate for CEREC or would like to know more about crowns, speak with the professionals at Lowes Island Dentistry about having your tooth restored in a single visit or book your appointment online today.